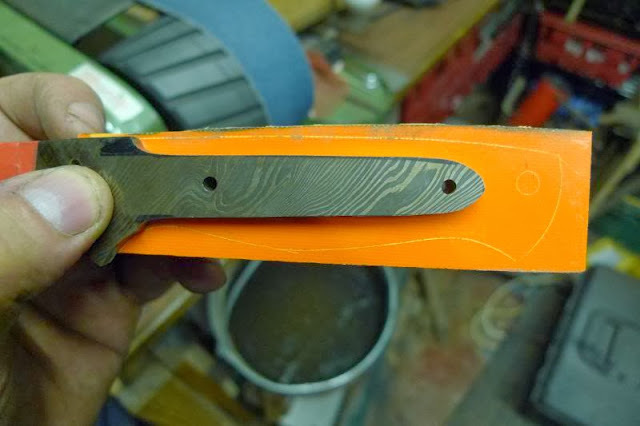 Damascus, Carbon Fibre & Orange G10 Bushcraft Knife. This blade and pair of scales arrived for a 'simple' handle. 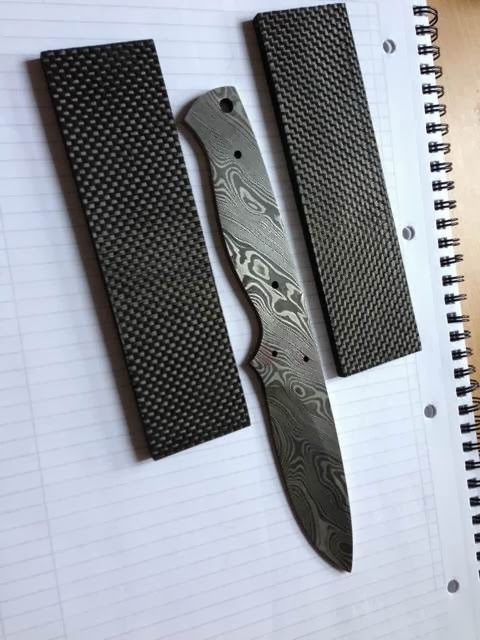 The blade is an AE damascus blade and the scales are carbon fibre. 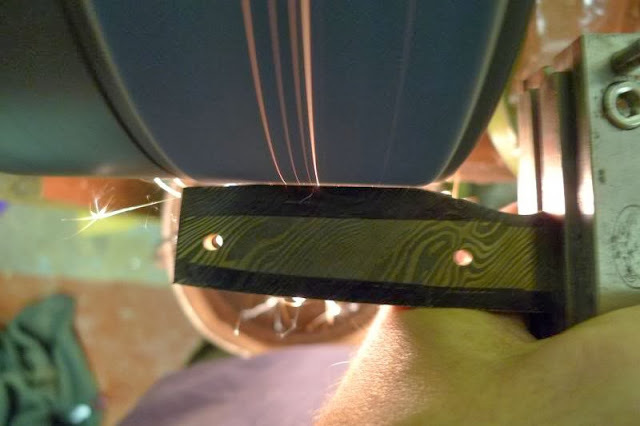 The carbon fibre is textured on the flats so all that was wanted was the outside surface to be gently rounded over. Simples, or so I thought! So when I checked the blade out, I discovered it had a slight curve to the left. A barely perceptible curve but enough to mean that the scales wouldn't sit flat. Soften the blade in a forge, straighten and re-heat treat ~ I didn't want to do this as I don't know the steels used so wasn't comfortable that I would get the heat treat correct. Temper the blade in the oven while clamped flat ~ this was what I tried, a number of times. I clamped it flat first, which took a little bit of the curve out. I then did it again while shimmed up to over bend it but to no success. 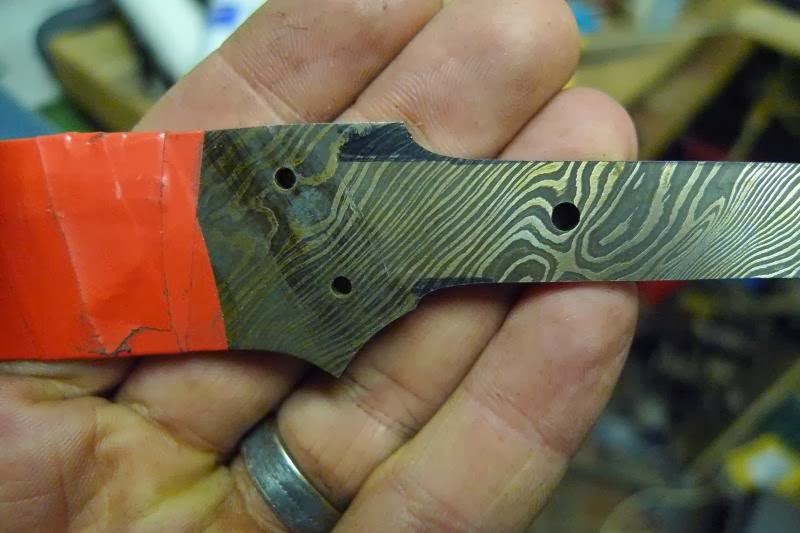 As I couldn't get the blade flat, a design change was called for! 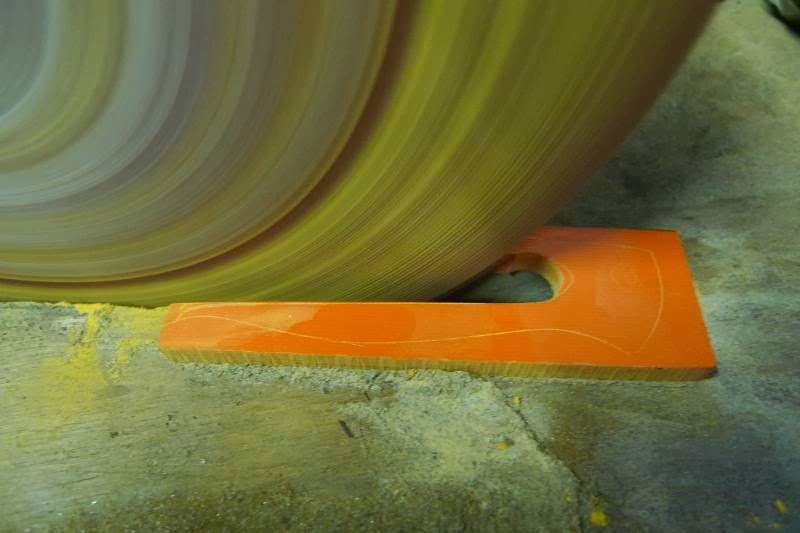 I ground the tang away to a stick tang and then got some Orange G10 and made a frame tang.